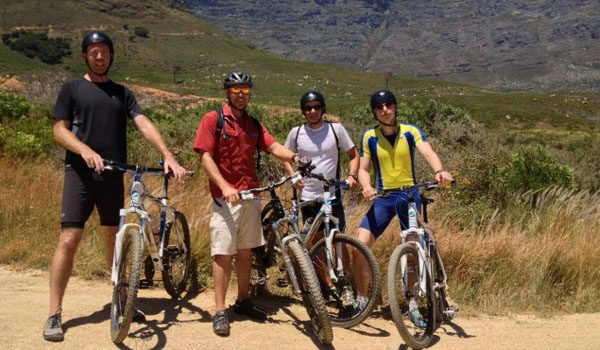 Discover your spirit of adventure with our Table Mountain Double Decent mountain biking – a glorious two-and-a-half-hour riding experience, traversing the front side of Cape Town’s majestic Table Mountain. The ride is suitable for all levels of fitness and ability, so don’t feel intimidated! This is Cape Town as you’ve never experienced it before. The tour starts by being shuttled from our shop to the top of the trailhead on Table Mountain. 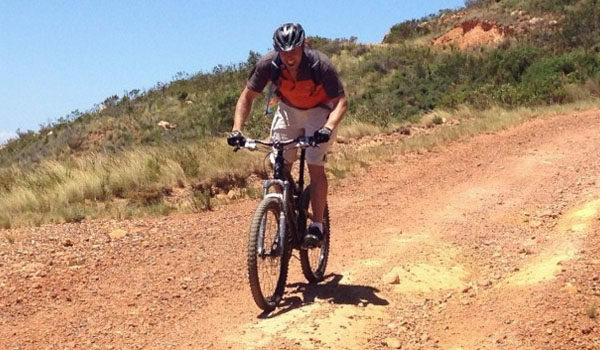 Then the journey begins as we embark on exciting downhill off-road trails and private roads that lead around Devil’s Peak. 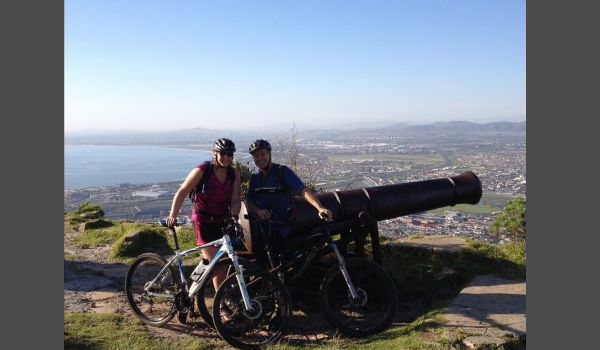 The ride culminates in the only viewpoint on the mountain that takes in the Indian Ocean of False Bay and Atlantic Ocean of Table Bay in one spectacular gaze. 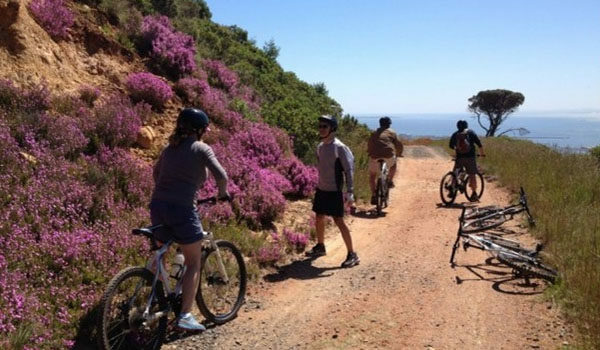 This mountain biking route showcases the magnificent Cape Floral Kingdom that Table Mountain Nature Reserve has to offer. It is enhanced with interesting information provided by our guides about the history and culture of Cape Town. Join us for an incredible experience that you will never forget! 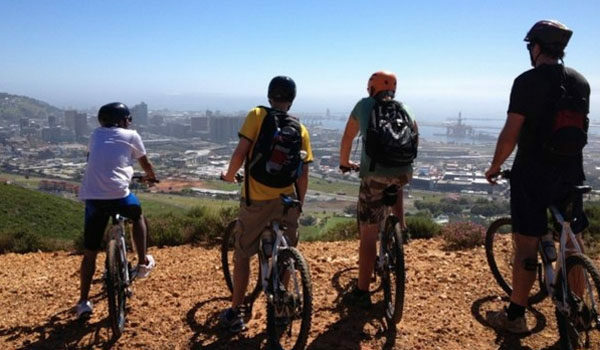 Do we cycle on top of Table Mountain? 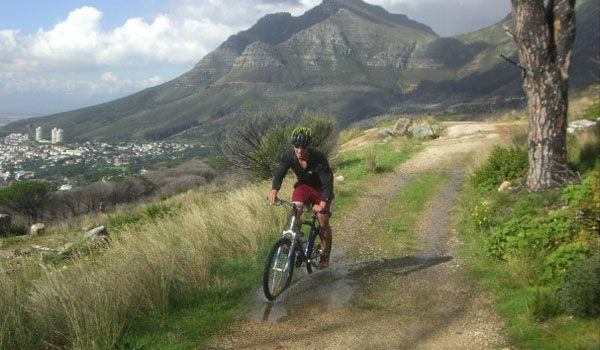 Cycling is only done on the lower half of Table Mountain and not on top. Where do we start cycling from? 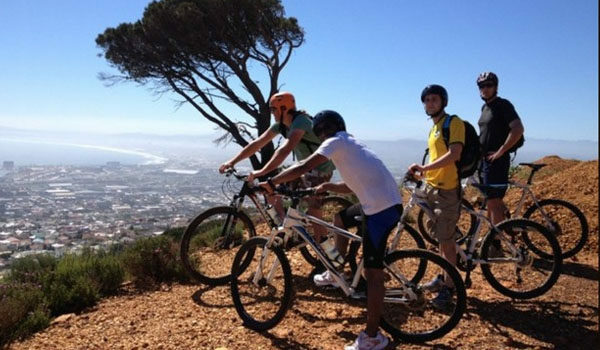 We transport you to the base of Table Mountain so you do not have to cycle the huge uphill from our offices! • Experience the most spectacular views of Table Bay, Robben Island and the City!